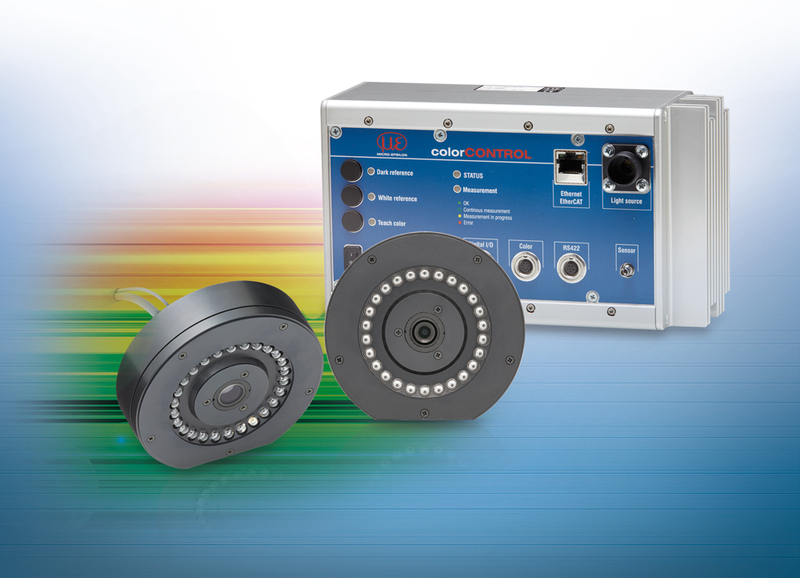 The new sensor head for the colorCONTROL ACS7000 inline color measurement system performs color measurements on structured and curved surfaces with an extremely small measurement spot. One of the most precise inline color measurement systems in the world, the colorCONTROL ACS7000 has been expanded with a new sensor model. The sensor with the designation ACS2-R45/0-28-1200(001) is designed as circular sensor and has a measurement spot of 3x2mm. The small, oval measurement spot offers advantages primarily on structured surfaces which are difficult to detect with conventional color sensors, e.g. wooden veneers, floor coverings and textiles. The continuous, homogeneous lighting allows measurements to be carried out regardless of the angular position of the target object. This is why the new sensor head is perfectly suitable for the quality control of curved objects. The curvature radius should be at least 20mm. The inline colorCONTROL ACS7000 color measurement system is successfully applied in color control systems for high volume productions, the automotive industry, as well as in plastics and textile production.